Complete Data Recovery software for Windows that can undelete files, recover photos, video, music files from SD cards, cameras & other media devices.It will also recover data from formatted, deleted / corrupt partitions & crashed hard drives / HDDs. This is the best laptop / computer data recovery software for Windows 8.1, Windows 10, Windows 8, Windows 7, Vista, XP, Server 2003 and 2008, and Windows 2000. Powerful data recovery application for Mac users to recover files, photos, videos, audio and also restore data from volumes on Mac OS X 10.5.x and above (including Leopard, Snow Leopard, Lion, Mavericks, Yosemite, El Capitan, Sierra, High Sierra and Mojave). Try out the free download and preview the files recovered prior purchasing. Outlook Repair Tool that repairs corrupt PST file and recover deleted and lost emails along with all Outlook attributes like calendar items, attachments, contacts, tasks, notes etc. on Outlook 2000, 2003, 2007, 2010, 2013, and 2016. Also, the tool can be used on any Windows PCs like Windows 10, Windows 8, Windows 7 etc. 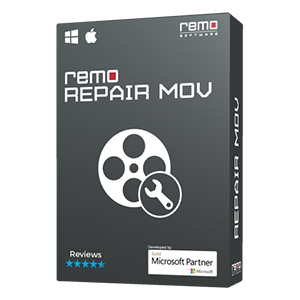 Remo Repair MOV tool helps in repairing corrupt / damaged MOV, MP4 video files. The software supports generic, all popular digital camcorders and professional HD camera used in adventure sports. It has a completely automated interface, which provides easy repair of corrupt MOV, MP4 video files. The software can be installed on Mac OS X High Sierra, sierra, El Capitan and other versions of Mac operating system to repair corrupt MOV, MP4 video files. 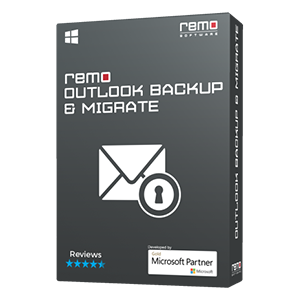 Outlook backup and migrate utility can backup & migrate Outlook data including emails and other attributes like email folders, calendar items, contacts, E-mail accounts, journal entries, settings etc. Remo Convert OST to PST is an advanced MS Exchange OST file conversion tool to convert any OST file to PST. It converts any healthy or corrupt OST file to PST. Effective Outlook Express Repair Tool to recover emails from DBX files on Outlook Express version 4, 5, 5.5 and 6. Remo Repair Word is a Microsoft Word file repair tool, which is most ideal for repairing your corrupt / damaged Word DOC or DOCX file. This tool uses its powerful algorithms to scan and repair corrupt Word files that are created using Microsoft Word 2016, 2013, 2010, 2007, 2003, and 2000 versions of MS Word application. Remo Repair PowerPoint is a Microsoft PowerPoint file repair tool, which is the most ideal tool for repairing your corrupt / damaged PowerPoint PPT, PPTX or PPS file. This tool with its intuitive wizard interface yet powerful advance PowerPoint file repair algorithm will repair your damaged / corrupt PowerPoint files. In case you are looking for a repair utility for fixing corrupt Photoshop images files like PSD or PDD images, then Remo Repair PSD is the perfect solution. Download the free trial edition now. Download the free demo version of Remo Repair AVI and get a preview of your repaired file. It can fix videos files of AVI, DivX, & XVID files in easy steps. Download the Free AVI repair software now for Windows & Mac. Repair corrupt / damaged RAR archives using Remo Repair RAR. The software provides a completely automated interface to allow easy repair of corrupt RAR archive files. The software can be installed on all popular versions of Windows including Windows XP, Windows Vista, Windows 7, Windows 2003 & Windows 2008, and Windows 10 to repair corrupt RAR files. Using Remo ZIP application you can create, open or update compressed .zip files on Mac OS X and can even open or update existing .zipx files. Download the free version here. Remove duplicate files, documents, images, videos etc., from Google Drive, OneDrive and Android phones with few simple clicks. Remo Duplicate Photos Remover finds and deletes all duplicate images on your Windows PCs. Its strong De-Dupe Algorithms scans the entire drive and locates the duplicate images on the basis of file name, size, signature etc. It even lets user to select the required ones and delete the others. File Eraser utility to permanently erase files beyond recovery and wipe free disk space using shredding patterns recommended by various Government and Law enforcement agencies. 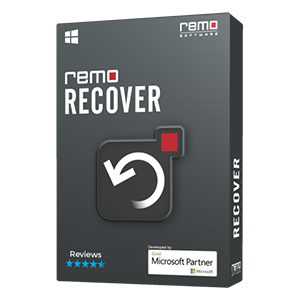 Download Remo Recover Windows Free Edition and install to recover deleted or lost data. This software helps you recover upto 1GB of data for FREE. Remo Recover for Android™ is programmed to recover lost, deleted files including .apk files, photos, music and video files from Android SmartPhones and Tablet PCs.